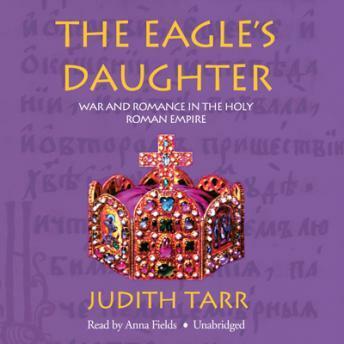 This lushly detailed historical novel tells the story of the tenth-century Byzantine princess Theophano, who ruled as Empress during the last days of the Roman Empire. Her story is told through the eyes of her companion and advisor, Aspasia, a widow and a royal princess in her own right. At 18 years old, Theophano is sent to become the wife of Otto II, the Holy Roman Emperor, and must win the devotion of her new husband and people. Meanwhile, Aspasia begins a dangerous love affair with Otto the Great's Moorish physician. When Otto II is unexpectedly killed in battle, leaving the kingdom to his infant son, the Empress Theophano must fight one of the greatest wars of succession of the Dark Ages to protect her realm from the throne's rival, Henry of Burgandy.